Happy new year, dear reader! May your 2019 be filled with happiness and poetry! Lately, my mind has been delving into darker themes (again). No, my depression is not driving my words but rather I am writing with eyes wide open. Maybe dark is the wrong word...let's use 'different'. I am trying to explore different ways to express. 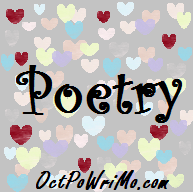 The poem I wrote today is borne from nothing personal (this time). But rather it is the offspring of thoughts that just sort of came together in a short period of time. This is the start of my exploration into 'different'. Please enjoy. But it is a feeling. This is it. 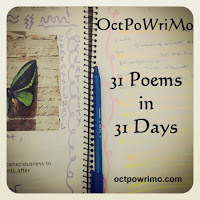 OctPoWriMo is over. My final poem is a Haiku, which still is one of my favorite forms to write. Thank you all for staying with me this month, for encouraging me. It has been an honor to write for you. Until next time, farewell. Today is the penultimate day of #OctPoWriMo 2018. There are only two poems left to write. Today's prompt is Dancing on the Moon. I wrote the prompt just a little different, but I did write about a dance. I hope you enjoy. Today, dear reader has been my least favourite prompt. I do not mean this to disrespect Amy. No, not at all. I simply mean that today's prompt is about numbers. And I hate numbers. I am not a math guy. So I hope you will forgive me for what may be a lackadaisical effort. It simply wasn't my day.